Severe laser surgery complications are not common occurrences. In most centers offering laser refractive surgery including LASIK, the success rates are around 95% to 99%. Over 2 million procedures have been performed throughout the world, and this number continues to grow on a daily basis. Many people report high satisfaction rates with laser refractive surgery. Most will achieve 20/20 or 6/6 vision without correction. 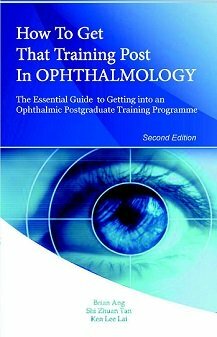 Virtually everyone will achieve at least driving vision of 20/40 (6/12) unaided. Vision before refractive surgery (left) and vision after surgery (right). The visual results after refractive surgery can be very spectacular, with many patients reporting good postoperative vision and high satisfaction rates. But that does not mean that the procedure is completely risk free. There will always be risks involved with any kind of surgery. Fortunately, most laser surgery complications can now be treated by additional surgery (enhancement) or with eye drops. Most refractive laser surgery complications are not serious and will settle over a few weeks if treated appropriately. Serious laser surgery complications are uncommon and occur in only around 2%. Occasionally, a second operation is needed to fix problems that occurred during laser refractive surgery. Severe complications resulting in blindness are very rare (less than 0.1%). Advances in surgical techniques mean that laser refractive surgery is now even safer with better results and greatly reduced complication rates. However, always make sure you know what to expect from surgery and always listen to your surgeon regarding any instructions concerning eye drops and caring for your eye after surgery. It is common to have some discomfort and some grittiness (sensation of something in the eye) after surgery, especially those who undergo surface (non-flap) procedures. Only a small proportion of patients experience a more significant problem within a couple of days of their operation. But don’t worry, most are mild issues and clear up without treatment, or are easily treated without any long term problems. Undercorrection or overcorrection. Sometimes, a refractive surprise can occur where the result of the laser refractive surgery is not what was expected. This may be due to incorrect measurement before surgery or eye movement during surgery. Undercorrection occurs more commonly. Both can usually be fixed with a second procedure (enhancement) after 3 to 6 months once your refraction has stabilized. Infection is one of the more worrying laser surgery complications, and is always a concern during the recovery of any surgical procedure. To reduce the risk of infection, you will be given antibiotic and steroid eye drops after laser refractive surgery. It is imperative that you avoid contact with potentially contaminated substances, such as swimming pool water. 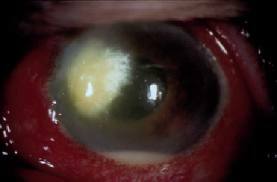 If you develop very severe infection, you will experience severe pain and reduced vision. To treat this, you will require intensive antibiotic eye drops or even repeat surgery. Corneal infection (infective keratitis) following laser refractive surgery is serious and may result in blindness if not treated expediently. Consult your ophthalmologist immediately if you suspect that you may be developing an infection after surgery. Haze is caused by scarring of the central cornea. This occurs in 1-2% of cases, and can be aggravated by sunlight. Haze can affect the clarity and crispness of vision, but this depends on the amount of haze. It may be treatable with repeat surgery, where the area of haze is permanently scraped off and locally treated with an anti-scarring drug (mitomycin-C). 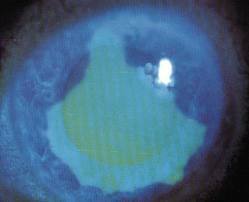 Sometimes the area of the cornea that has been ablated by the excimer laser heals with overexuberant scarring. 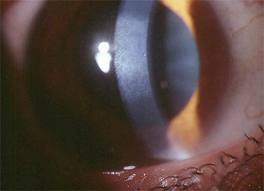 The cornea subsequently develops a haze instead of returning to its original transparent and see-through state. Corneal abrasion. 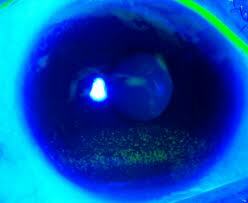 Sometimes during surgery, there may be breakdown of the corneal epithelium (skin covering the cornea). This can cause discomfort, pain and blurred vision. This will heal over 2 to 3 days, and is unlikely to cause any long-term issues. If detected during surgery, you may be given a bandage contact lens and topical antibiotics to help with healing and to improve comfort. A corneal abrasion will cause discomfort and visual blurring. 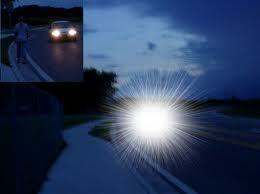 It usually heals over a few days without any serious consequence to your eye or vision. It can occur in any eye operation and not just in laser surgery. Increasing your intake of Vitamin C may help to hasten the reepithelialization and healing process. Dry eye syndrome. While not usually considered significant as far as laser surgery complications go, dry eye syndrome can nevertheless be extremely severe. The cause is unclear, but may be due to the nerves to the eye being affected by surgery. Most cases of dry eye can be treated easily with lubricating drops or ointments. Punctal plugs to block the tear ducts from draining away tears are beneficial in the more severe cases. However, for some people, it can result in extreme pain, discomfort and visual blurring to the extent that their lives become debilitated. Unfortunately, the dry eye problem is a lifelong one, and there is no 100% effective cure. Depression from dry eye is now increasingly being recognized. The corneal surface requires tears for comfort and nutrients to the epithelial cells. Dryness of the eyes occurs when either insufficient tears or poor quality tears are being produced. Fortunately, for most people, the symptoms are relatively mild and easily relieved with artificial tears and eye lubrication. Visual symptoms such as glare, starbursts and haloes around lights are common laser surgery complications, but are often transient and tend to reduce substantially within 6 months. However, they can be visually disabling, especially at night. These symptoms are more troublesome if the pupil dilates beyond the size of the laser-treated area. They may also occur if the laser ablation zone was not centered correctly or if there is significant amount of inflammation after surgery. 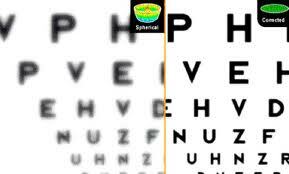 Weak prescription night glasses or eye drops that make the pupils go smaller (pilocarpine) may help if these symptoms persist beyond 6 months. Starbursts can be a visually disabling symptom. In severe cases, they can also pose a danger on the roads. This is well demonstrated above where the pedestrian by the roadside (inset) is not visualized due to the starburst effect. Regression occurs when you achieve clear vision initially after surgery but your eye drifts back towards its original prescription. You will therefore notice a gradual worsening of your vision over time. This is because the eye is ‘regressing’ to its original state before surgery. A ‘touch up’ or enhancement is likely to improve the vision again. The risk of regression depends on the level of myopia (nearsightedness) or hyperopia (farsightedness) that you have. The higher the refractive error, the more likely regression will occur. Have A Story About Your Eye Surgery? Have you recently had eye surgery? Was it how you thought it would be, or was it totally not what you expected? Why not share your experience of surgery with other readers?